Joe Rocket launched onto the motorcycle apparel scene and blasted their way into being the #1 player in the street apparel business. Their complete line of motosports apparel include leather jackets, textile jackets, mens gloves, suits, boots, pants, ladies leather jackets, textile jackets, ladies gloves, boot, pants, body armor, luggage and eye catching sports and casual wear. Like a lot of good things in life, it all started with a motorcycle. 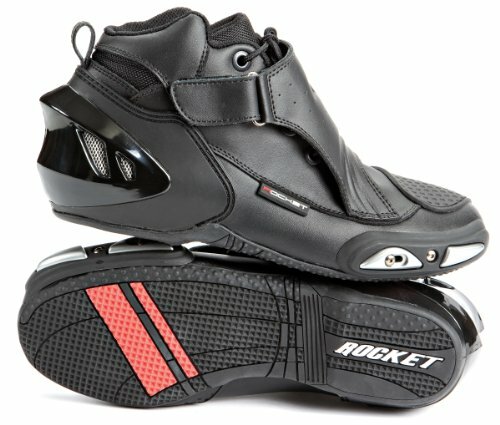 An obsession with motorcycles and motorcycle gear morphed into the launch of Joe Rocket in 1994, manufacturing quality motorcycle jackets. Joe Rocket's "Phoenix" nylon jacket sold a hundred thousand pieces because the perforated, fully armored jacket was the first to provide serious hot weather protection and keep the rider cool. Then after sponsoring 17-year-old Nicky Hayden, Joe Rocket became etched in motorcycle racing culture. Joe Rocket went on to expand its motorcycle gear to include helmets, pants, luggage, boots, and gloves - all designed ahead of the curve of protective motorcycle apparel. If you have any questions about this product by Joe Rocket, contact us by completing and submitting the form below. If you are looking for a specif part number, please include it with your message.